What's in a circle? What shapes can be created using circles? 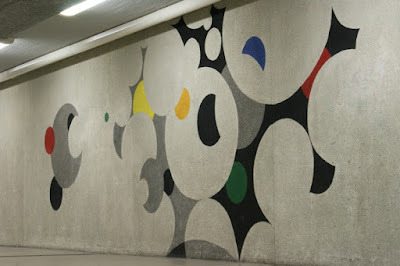 Artist Pierre Olofsson explores a world of circles in a walking tunnel by Danderyd University Hospital. Here's a detail of the artwork Livets träd ("Tree of Life"). How many circles can you discern?